HOME > Special Offers > Win up to $300,000 Instantly with Virtual Scr..
Scratch Cards are an enjoyable way to try to win cash prizes. Typically you just need to scratch the area to reveal 3 matching symbols to win. Now Lotto Kings [read review] has brought the popular scratch games online, and you can win up to $300,000 with just one virtual ticket. Buy One Lottery Ticket - Get One FRE.. 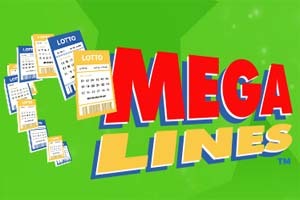 The Original Lotto Ticket Broker Has..
MegaLines Offer Some of the Best Odd.. These Syndicates Are Easy to Join & ..